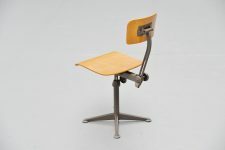 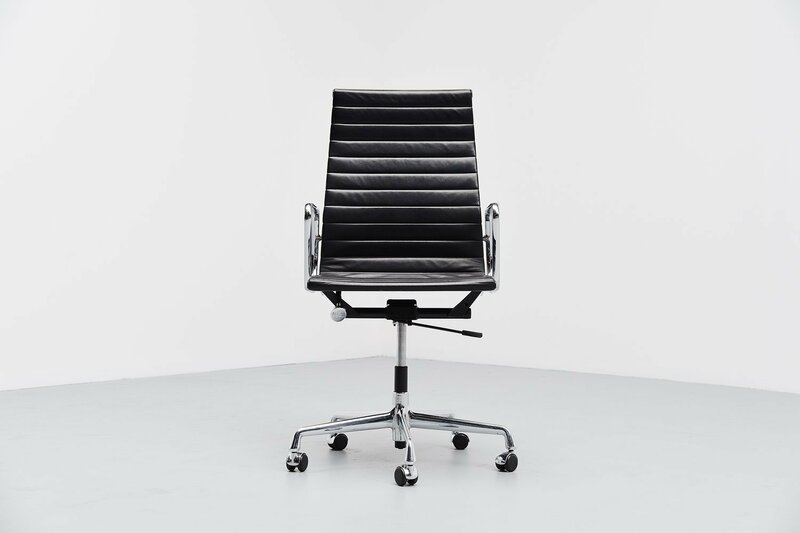 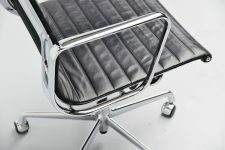 Instant design classic, this Charles Eames desk chair designed for Herman Miller in the United States in 1958. 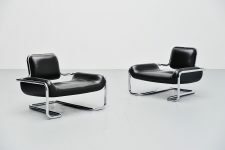 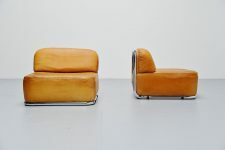 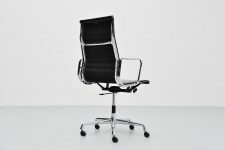 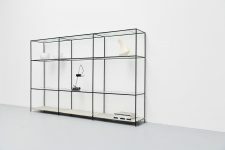 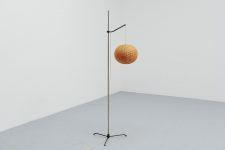 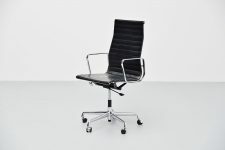 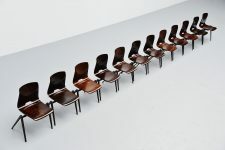 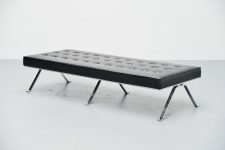 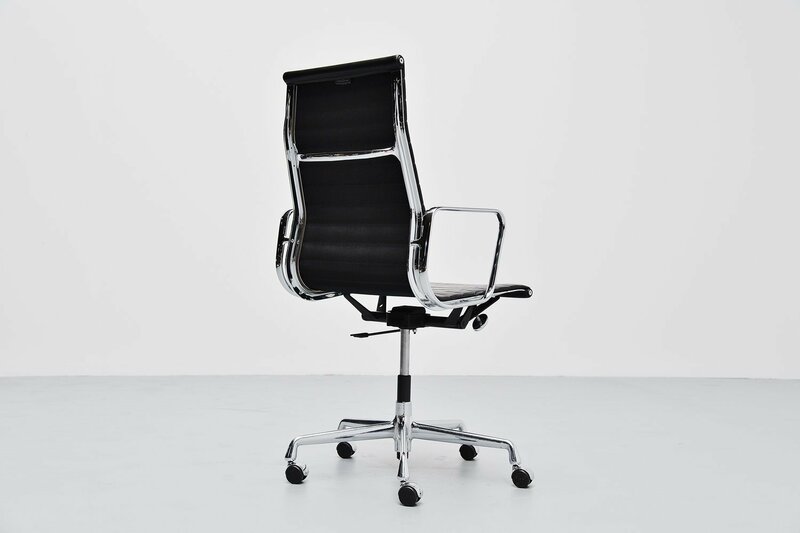 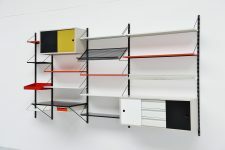 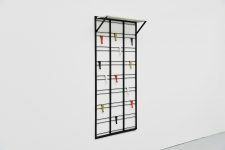 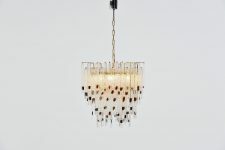 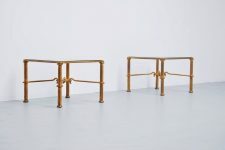 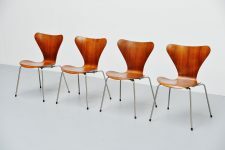 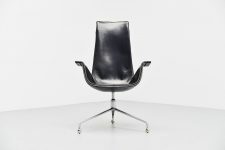 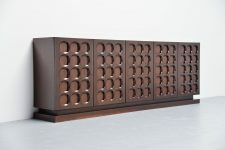 This recent model is from ca 2001 and as manufactured by Vitra in Europe. This chair has been adjusted and modified to fit with mans current needs for comfort and ergonomic seating. 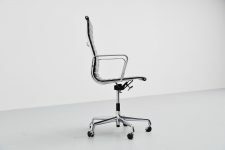 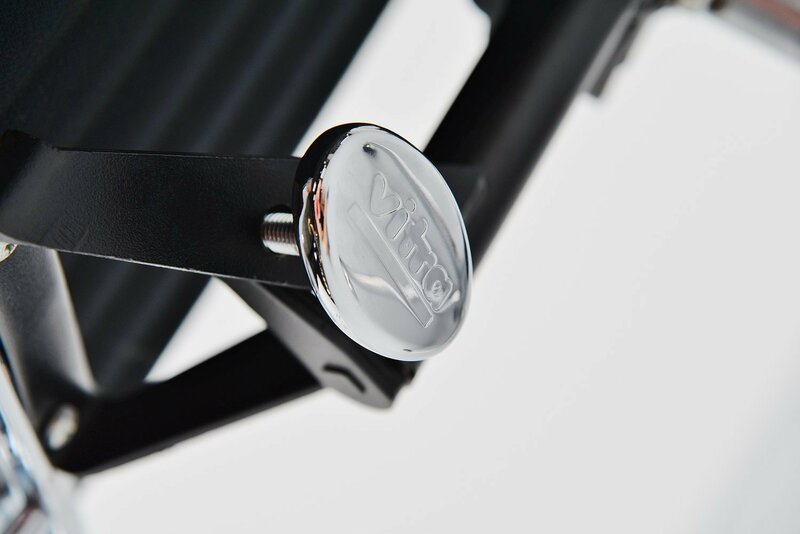 The chair can be adjusted in height and tilts as well. 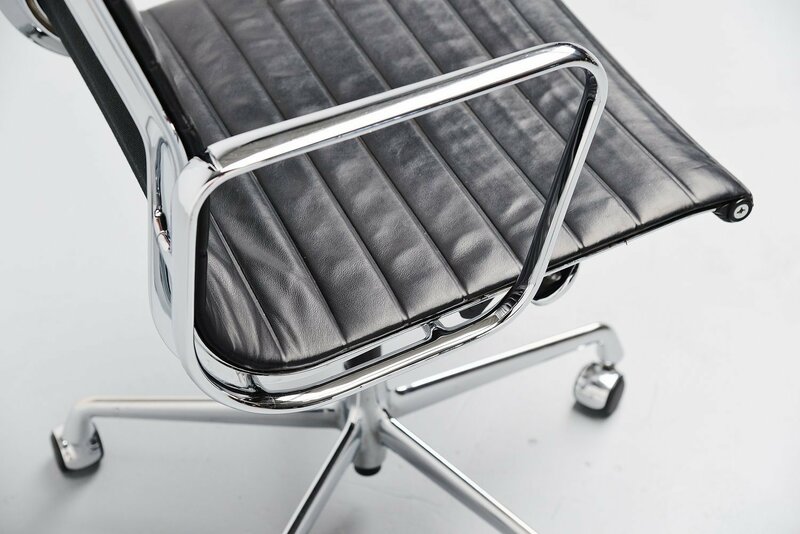 Super functional and comfortable desk chair. 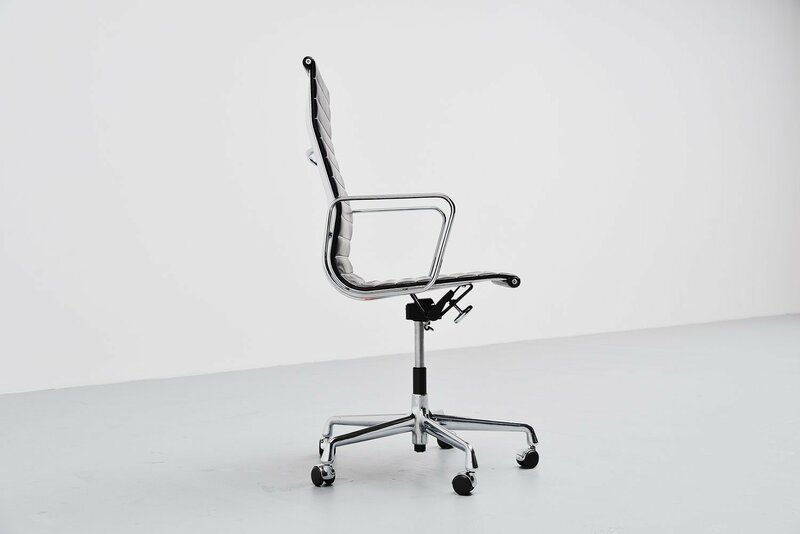 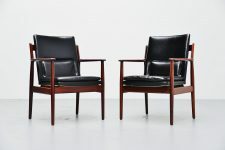 The retail price for this chair new is 3767,- Euro in this edition with chrome plated details and black leather seat, our price is 1250 Euro in very good but used condition. All elements work perfectly, no defects to wheels or anything else.